Pride of ownership on full display with this one owner home!! 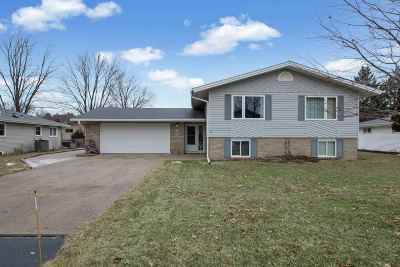 This 3 bedroom, 2.5 bath estate is located in a convenient Stevens Point location close to Downtown and Goerke Field. Enjoy a large, well maintained, backyard with an underground sprinkler system on an automatic timer and access to the lower level and 2 stall garage with additional storage and outdoor parking stall. The main level contains an ideal sized living room with tons of natural light.